“You're beautiful, but you're empty...One couldn't die for you. Of course, an ordinary passer-by would think my rose looked just like you. since she's the one I sheltered behind the screen. Since she's the one for whom I killed the caterpillars (except the two or three butterflies). Valentine's Day being just around the corner, I would like to start with this beautiful piece about roses and love. Today it is about a beautiful fragrance just for your rose, be it your mother, lover, sister or yourself. 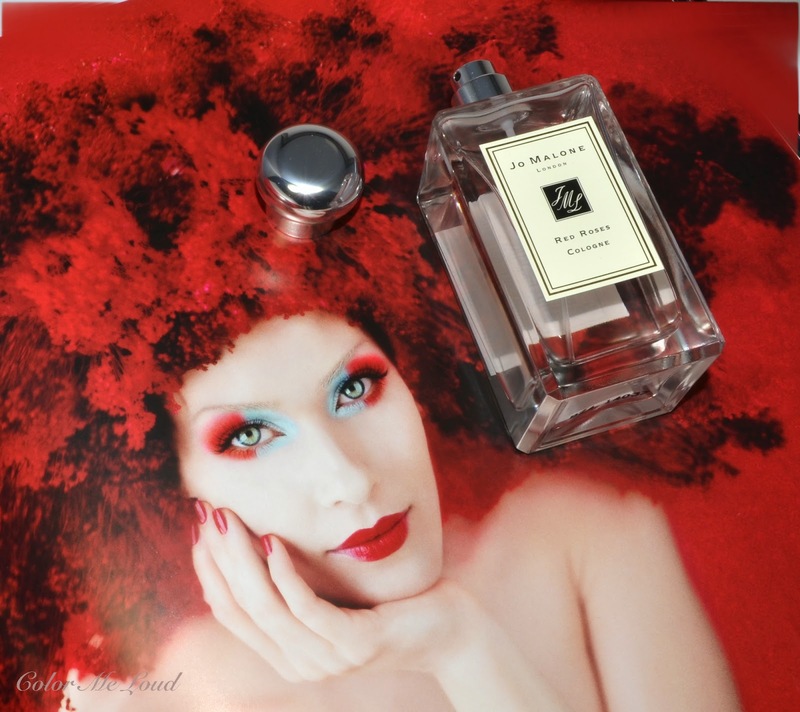 Jo Malone London Red Roses Cologne puts a large bouquet of red roses in a bottle. 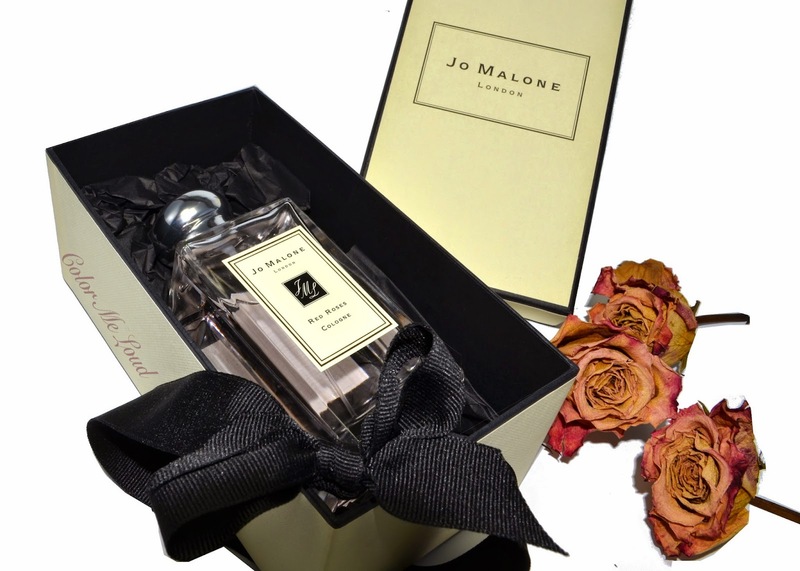 From their chic minimalistic bottles to signature yellow black box and the ribbon, Jo Malone London is offered in beautiful packaging which would make receiver's heart skip a beat. Everything is luxurious about Jo Malone which starts during unpacking and reaches its peak by the first spray touches your skin. Imagine a garden full of roses. First whiff is like a short fresh breeze, a very brief occurrence of mint and citrus for just a few minutes. As the red roses fully take over -they do it in a very pleasant way- it becomes all about them and nothing else. You are in a garden, not a room, nothing artificial about it, they are alive, they are earthy and real. I appreciate the lack of sweetness of this contemporary floral. A very long lasting bouquet of roses, which doesn't transform but keep on delivering what it promises. Jo Malone London extends their Red Roses Collection for Valentine's Day this year with bath oil, body and hand lotion, shower gel, room spray and room diffuser as well as a candle.Red Roses is lovely as a cologne but I can see it working just as good as room spray, diffuser or candle. The realistic take-on red roses would bring a freshly cut bouquet to your living room. A Minuet of Roses is a duet with lovely blogger Linda from Silverkis. 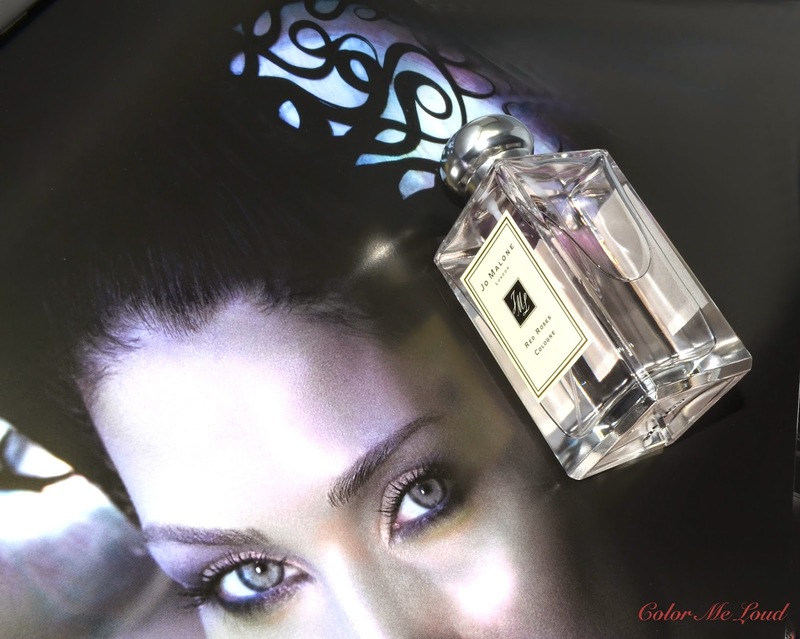 Her post is about Jo Malone London Velvet Rose & Oud Cologne. It is February and we are all about roses. Final thoughts: Jo Malone London Red Roses is lovely contemporary floral which puts a garden full of roses in a bottle. Earthy and clean and not sweet. It is long lasting and a must-have for those who love rose fragrances. Which one would you prefers as a gift on Valentine's Day? A bouquet of red roses, candle or a fragrance? Or make-up? ;-) Please share with us what you would wish for. Yes mine too, love The Little Prince! Which of Jo Malone Colognes are you favorites? This Saturday we will visit my mother in law because she is having a belated birthday party. In Germany Valentine's Day is not that big, but still young people go out to eat etc. So as you said everywhere is full. Wood Sage is so good. I am trying hard not to wear it everyday. I have a small bottle of that one but promised myself if it gets empty, I am buying a big one lol. I am excited about the new comer to the Intense Cologne, the one with Incense and cedar. I will try it as soon as it is out. I have a love-hate relationship with roses. If a fragrance is too full-on rose then I probably won't like it. But when it's a blend and the rose scent is natural and subtle then I might like it. Hi Sara, trying again to leave a comment. I'm excited about our little duet!!! Red Roses feels very fresh to me, and you introduced it so well here... love Au Petit Prince!!! Hi Linda, I am excited as well. I will link your post tomorrow. Oh the same here, but I think it is because it is hard to do a very good rose fragrance. To me this one smells really nice, although it is very rose and hardly something else.